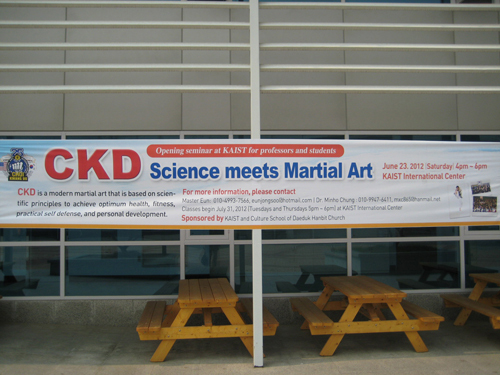 The Korea Advanced Institute of Science and Technology (KAIST) sponsored a CKD seminar for their students and professors on June 23, 2012. 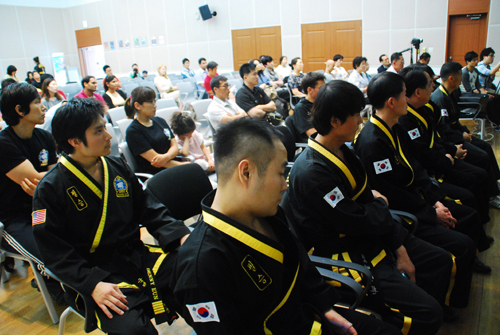 KAIST is one of the most prestigious universities in Korea and is considered to be the top school for science and technology. 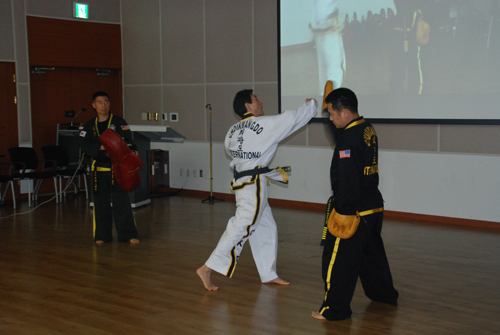 The seminar gathered much interest in and around the campus as it was titled, "Science Meets Martial Art." 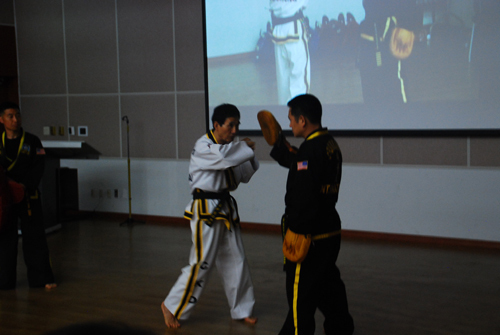 Grandmaster Choi not only impressed the audience with his amazing techniques, but also with the in-depth explanation of the scientific principles behind each technique. 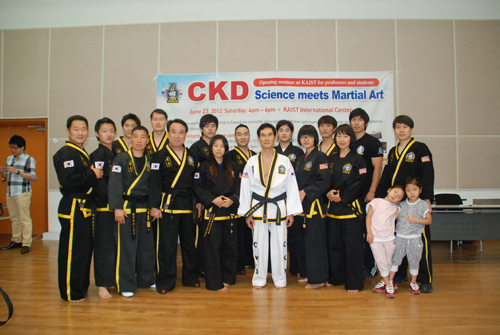 CKD classes are scheduled to begin July 31 at KAIST's International Center.